PayPal launched the Philippines results from its “Global Freelancer Insights Report” that looks into the needs and challenges of freelancers in 22 markets worldwide. The study, which surveyed over 500 freelancers and considerers in the Philippines, shows the country as a very optimistic freelancer market, with 86% of freelancers claiming they anticipate future growth on their businesses. Driven by opportunities brought by digital platforms, the gig economy continues to grow, and is seen to advance further by 2020 where almost one in five workers will be freelancers or contract workers. The trend is even more prominent in the Philippines with a growing millennial population. Individuals are attracted to the flexible working hours and the ability to be their own boss while companies are also seeing the benefits of outsourcing certain functions to this group that can be more cost efficient. According to the survey, data entry/internet research (34%), virtual assistance (13%), and customer service (8%) are just some of the many types of work freelancers are often engaged for. Findings from the survey also revealed the extent to which digital platforms provide ease and convenience for freelancers to receive payments. PayPal is found to be the most popular platform for freelancers in the Philippines, with 86% claiming to use PayPal for receiving payments from overseas and 93% of those using an invoicing service using PayPal. The study revealed a disparity in the payment methods used amongst freelancers’ client base as international clients opt for PayPal as the most commonly used, with 86% of payments from international clients made via PayPal. This compares to 33% of payments from international clients made via bank transfer. Bank transfers are found to be more common among domestic clients. Not only do digital payment platforms facilitate payments across the region, they also ensure that freelancers receive payment with ease and convenience. Four in ten freelancers surveyed use invoicing software to issue invoices and secure payment from both domestic and international customers. In addition, of freelancers using freelancer platforms, 89% withdraw funds via PayPal, citing ease and speed as key advantages of the platform, outperforming bank transfer and other online payment platforms. Ease of withdrawal (43%) and a speedy payment process (43%) are however only secondary factors to security, which was highlighted by many (54%) as the top-most consideration in deciding their preferred payment method. Despite the growing freelance industry, freelancers are still facing uncertainties like irregular income and not being paid by commissioners. The survey reveals at least half of the freelancers have had experiences of not being paid for their work and services. “The Philippines freelancer market is a growing segment and is poised for further upsurge, with more Filipinos looking to getting freelance work from overseas. In order to complete the transaction and receive payment, a payment platform that has the same far-reaching abilities as the nature of the gig economy is needed. 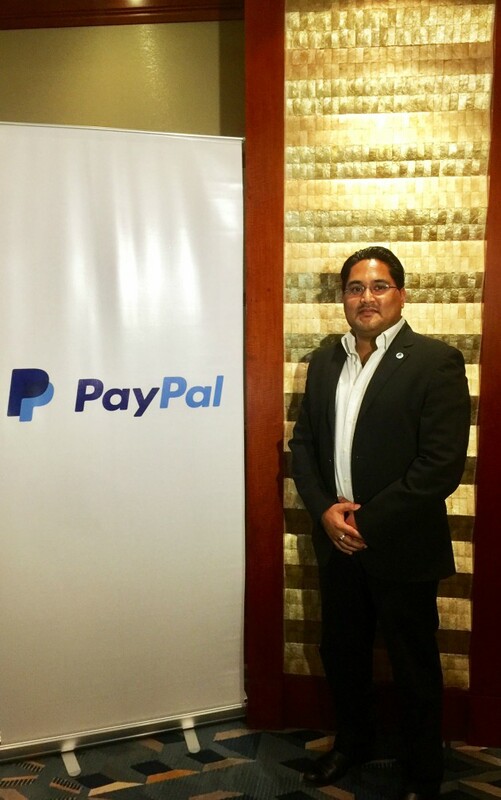 This means having a single payment option to customers that transcends international borders and accepts multiple currencies,” said Mr. Abhinav Kumar, Head of Strategic Partnerships for PayPal Southeast Asia. The research takes a novel approach to studying the freelancing segment by also taking into account the perceptions and behavior of a category of potential Freelancers called ‘Considerers’ – those who do not do actual freelance work but expect to do so in the next six months. The prospect of earning more income and the ability of working solo in flexible hours makes freelancing an attractive option to considerers. Similar to current freelancers, considerers also share the same fears such irregular income or not being paid on time or at all. Rise in income as primary motivator: Half of considerers find motivation in taking the freelancing path from seeing others do it successfully (51%). Sixty-one percent of considerers believe that taking the freelance career will significantly increase their earnings. Considerers also anticipate similar freedoms as current freelancers, citing the autonomy to work anywhere and anytime as the top benefit they will get from doing freelancing work. Fintech perceived as a secure payment method: Among the priorities in choosing a payment method to accept fees, 56% of Considerers said security is their top criteria followed by speed (47%) and ease (36%). Considerers showed good interest in PayPal products as their main payment method (91%), followed by banks (76%) and credit or debit card (56%). Flexibility and ease of use are highly valued: Considerers also take into account the flexibility of work and ease of use of tools to fully pursue freelancing. Considerers have good impressions of freelancing platforms; with 66% believe it allows them to work anywhere. In terms payment methods, PayPal is highly-preferred because of its ease of use (49%). While more than half of companies in Singapore report a positive hiring climate for 2014, many prefer to take a wait-and-see appro.. Does Satya Nadella’s appointment hint the company will be placing a larger emphasis on cloud solutions? ..